There is still gold in them thar hills! The dredge utilized a form of placer mining: which means that it used water to wash the soil to separate the gold. Since only small materials (less than ¾” in diameter) were washed by the dredge, all the larger rocks went out the back end and made up the tailings (the big piles of rock). 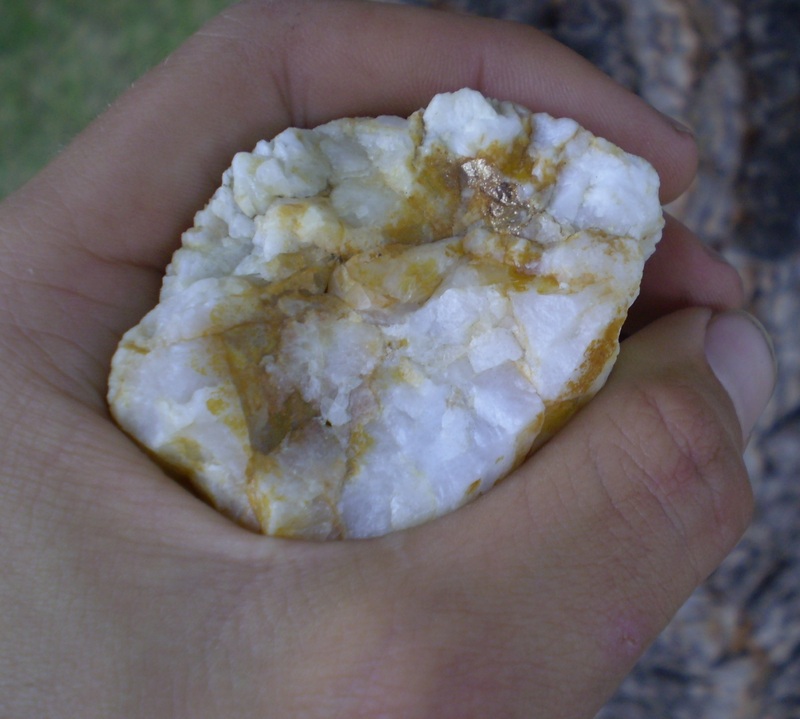 Rocks like this piece of quartz with a small gold vein (found last week in the tailings), went through the dredge at least once but the gold wasn’t collected because the dredge just washed materials, it didn’t crush any rock (hard rock Mining). We ask that you please leave rocks where you find them so that the next visitors will have the same quality of experience that you have enjoyed. Besides, the valley has been disturbed more than its fair share! There are however three locations within the park where you can still pan for gold. Simply acquire a permit from the gift shop (free of charge) and get ready to strike it rich! This entry was posted in Geology, Gold Panning, History. Bookmark the permalink.